The building company taking legal action over payments for the development of the East Stand at Northampton Town claims it is owed nearly £3 million. Contractors Buckingham Group, which has issued a statement to the Northampton Town Supporters’ Trust this afternoon, says it did not receive payment for work on the new stand in May and stopped work in June. The firm claims it is owed nearly £3 million for the work it carried out on the stand. A hearing is scheduled for this Thursday after it submitted a winding up petition against County Developments (Northampton) Ltd, the second development company appointed to manage the redevelopment project. This followed a previous legal dispute the Buckingham Group had with 1st Land Ltd, which resulted in the contractor stopping work in late 2014. The statement said: “1st Land Ltd made three payments under their contract with Buckingham between 1st May and 14th July 2014. These payments totalled £441,917 net of VAT. These are the only monies Buckingham have ever received for works carried out and certified to date on the East Stand. “When we pulled off site in September 2014 we were owed a total of £1.852m by 1st Land Ltd,” the statement addded. A source close to 1st Land said it had no involvement whatsoever with the project as of January 2015 and has no connection with County Developments (Northampton) Ltd, which is owned by club chairman David Cardoza. In March, a new agreement was reached with Mr Cardoza to restart work on the East Stand. Work began in April 2015 following further agreements concerning the payment of the outstanding money. The statement said: “The first payment to Buckingham under the new contract with CDNL was due on 8th May 2015 but was not forthcoming. On 20th May 2015 we issued a formal notice to suspend works on the grounds of non-payment. “We wish to make it clear that the reason why the East Stand construction works ceased completely in early June 2015 was entirely due to non-payment of monies due and certified. The cessation of works had nothing whatsoever to do with any purported proposals from any prospective investor with plans to re-design the stadium,” the statement claimed. “We stopped work because we were not paid,” it added. Workers were first pulled off the site in September 2014 following a dispute with the original development company, 1st Land, before recommencing work in April 2015. Buckingham Group says it then stopped work in May amid claims it had not received payment from County Developments (Northampton) Ltd.
“For the avoidance of doubt we have not been paid a penny by CDNL. CDNL are liable to Buckingham for circa £2.989m for works completed and certified on the East Stand, which is why we are pursuing a winding up order against CDNL in the High Court this Thursday October 22, 2015,” the statement added. 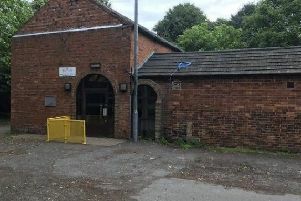 When the news first broke about the potential new buyers, it was stated by the club that the work had ceased because the new owners would want to develop the site themselves with different designs. A spokesman for Northampton Town has declined to comment.